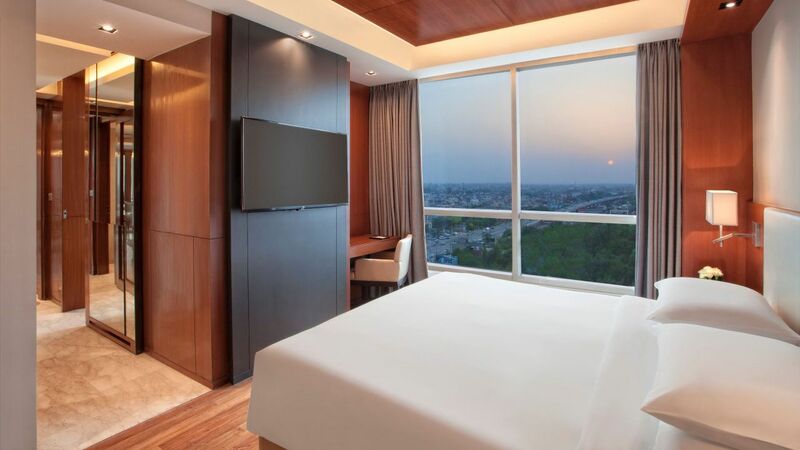 The hotel features 248 luxurious, contemporary guest rooms with 28 sets of Interconnecting family rooms, 52 Club Rooms, 07 Regency Suites, 02 Regency Executive Suites, 01 Amritsari Suite . All our comfortable contemporary guestrooms rooms feature Wi-Fi, a 49” SMART TV, generous work area, a bay window providing a view of either the pool or the picturesque cityscape. If you’ve booked a room in the Regency Club, you can enjoy the complimentary evening cocktails and hors d’oeuvres during your stay. A stay with the Regency Club also offers privileges including private check-in and checkout as well as a complimentary breakfast. Our tastefully designed 542-sqft guestroom, featuring a comfortable Bedroom with king bed, living room, work desk and highspeed wireless internet to keep travelers connected with family and friends. Our high floor guestroom location provides an opportunity to adore the skyline and panoramic view of the picturesque cityscape. Regency Club & Suite benefits include complimentary breakfast and evening cocktails at our bar. See World of Hyatt program terms for upgrade eligibility. 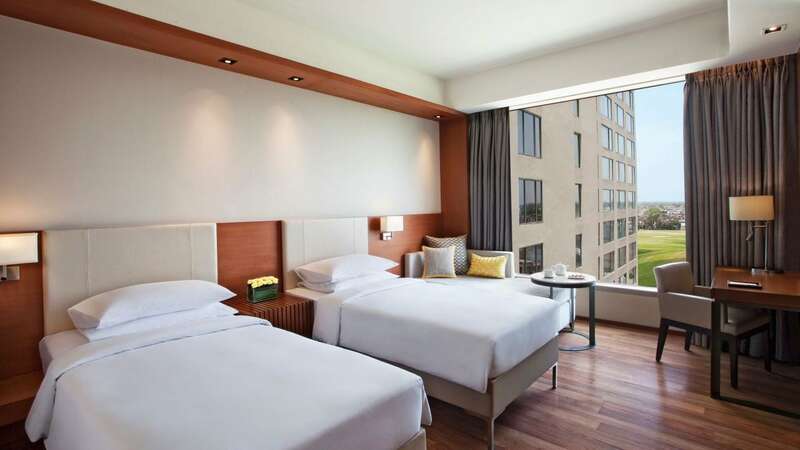 Our tastefully designed 599-sqft guestroom, featuring a comfortable Bedroom with king bed, living room, work desk and highspeed wireless internet to keep travelers connected with family and friends. Our high floor guestroom location provides an opportunity to adore the skyline and panoramic view of the picturesque cityscape. Regency Club & Suite benefits include complimentary breakfast and evening cocktails at our bar. See World of Hyatt program terms for upgrade eligibility. 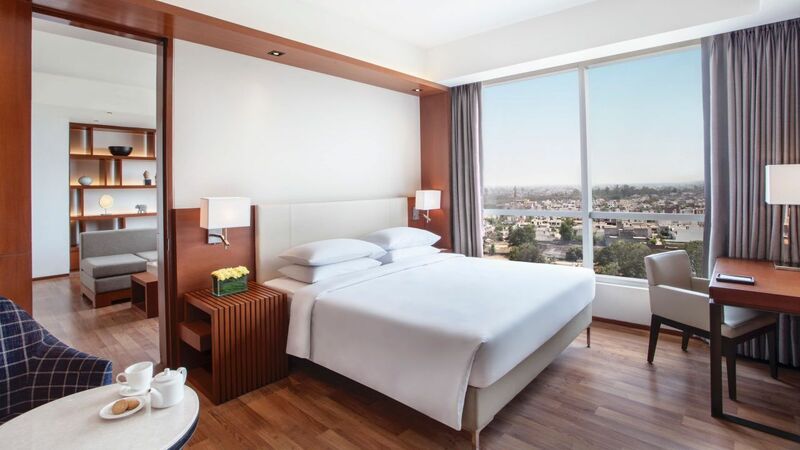 Our tastefully designed 1283-sqft guestroom, featuring a comfortable Bedroom with king bed, living room, dining table, kitchenette, work desk and an open terrace with the fireplace to adore the skyline and panoramic view of the picturesque cityscape. Regency Club & Suite benefits include complimentary breakfast and evening cocktails at our bar. See World of Hyatt program terms for upgrade eligibility. Our tastefully designed 296-sqft guestroom, featuring a comfortable Bedroom with king bed, work desk and highspeed wireless internet to keep travelers connected with family and friends. 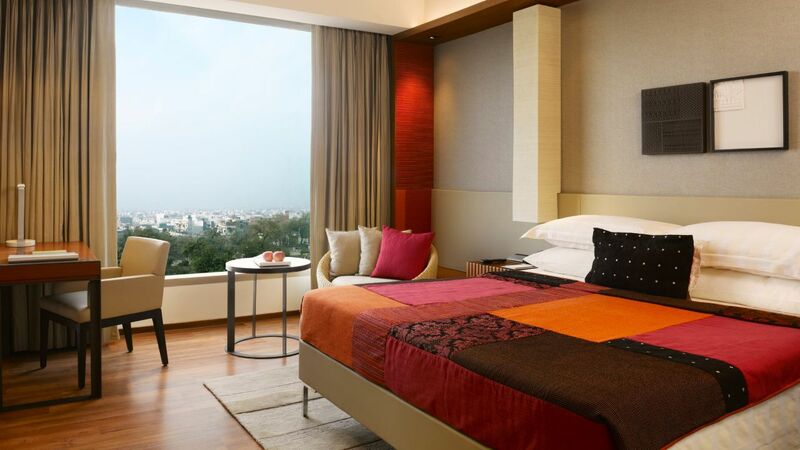 All the guestrooms consist of the large bay window to provide picturesque views of either pool or cityscape. Tastefully designed 296-sqft guestroom, featuring a comfortable Bedroom with twin bed, work desk and highspeed wireless internet to keep travelers connected with family and friends. 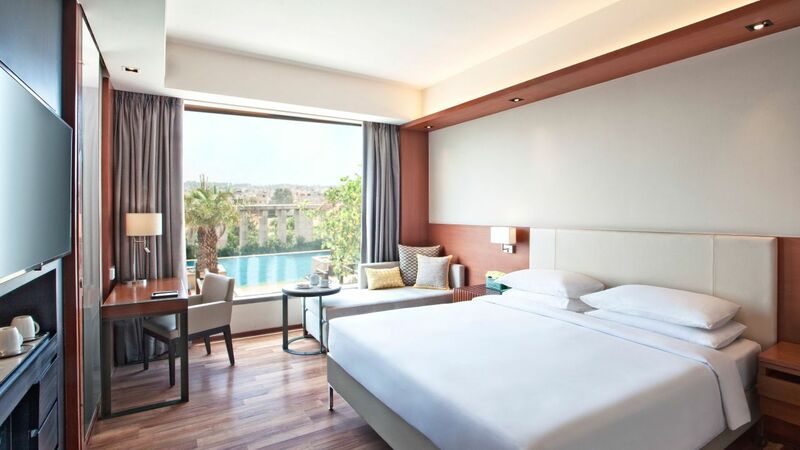 All the guestrooms consist of the large bay window to provide picturesque views of either pool or cityscape. 248 rooms including 10 Regency & Executive Suites. 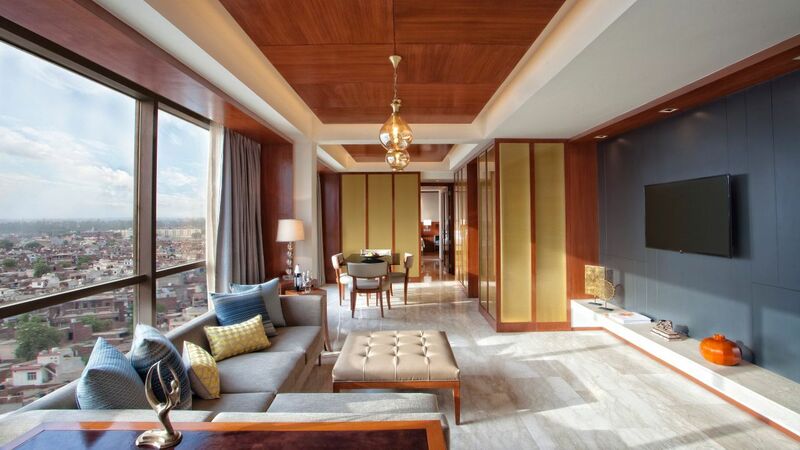 All rooms feature large bay windows to enjoy a picturesque view of the pool or the cityscape. Guests staying in the Regency Club rooms and suites can enjoy access to the ‘Scotch Haus’ which serves select complimentary evening cocktails and hors d’oeuvres. Other Regency Club benefits include complimentary breakfast, private check-in and checkout as well. Our tastefully designed 296-sqft guestroom, featuring a comfortable Bedroom with king bed, work desk and highspeed wireless internet to keep travelers connected with family and friends. Located on high floor guestroom location provides an opportunity to adore the skyline and panoramic view of the picturesque cityscape. Regency Club & Suite benefits include complimentary breakfast and evening cocktails at our bar. See World of Hyatt program terms for upgrade eligibility. Our tastefully designed 296-sqft guestroom, featuring a comfortable Bedroom with twin bed, work desk and highspeed wireless internet to keep travelers connected with family and friends. Located on high floor guestroom location provides an opportunity to adore the skyline and panoramic view of the picturesque cityscape. Regency Club & Suite benefits include complimentary breakfast and evening cocktails at our bar. See World of Hyatt program terms for upgrade eligibility.